It is hard to tell when we started the day because we are wandering between different time zones. 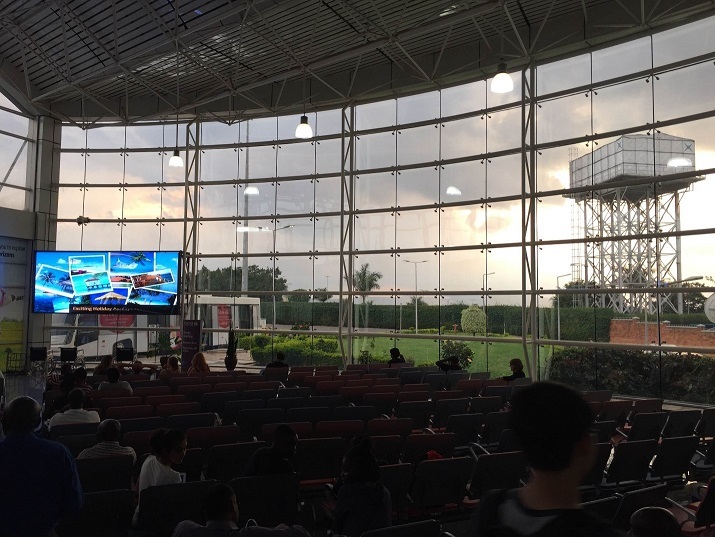 But our way back home started at International Airport of Kigali. 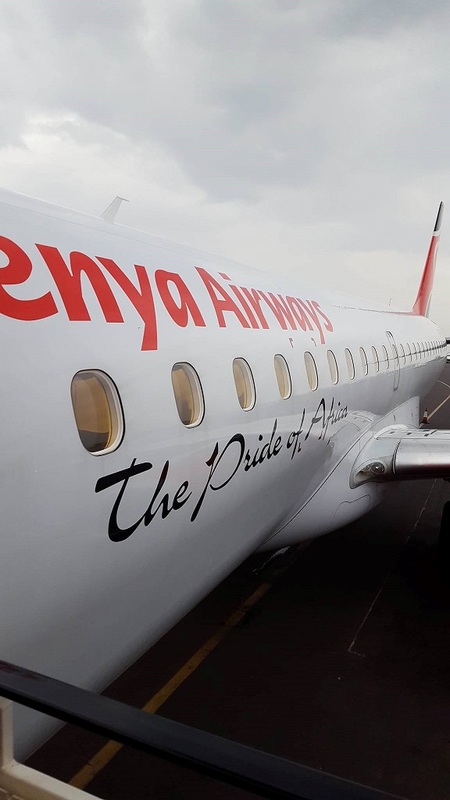 Our colossal bag full of water samples and probes instigated security’s interest. They did even bring a dog to test our bags. After that, we had another security check which took us a long time to arrive at the departure lounge. 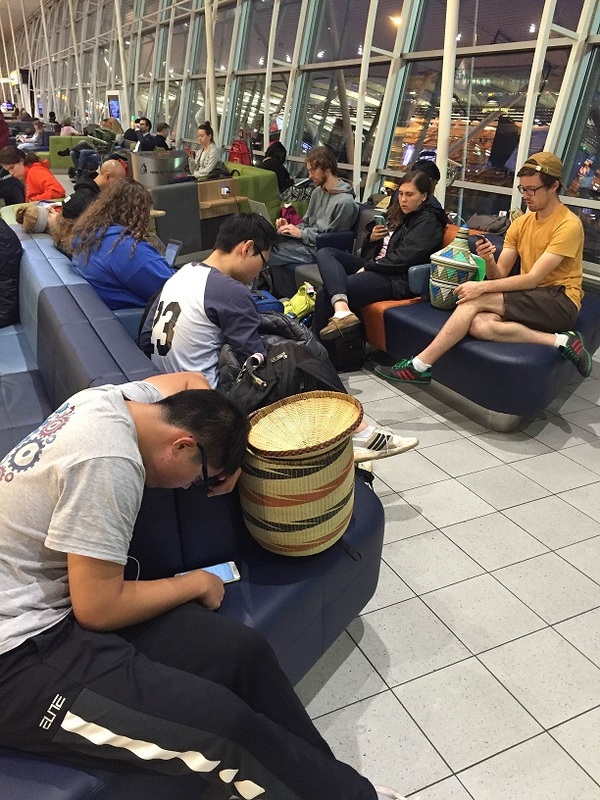 After a short layover at Nairobi, Kenya, we arrived to Amsterdam and had a 6 hour layover. I can feel everyone become excited by getting close to home. People get relaxed at the nice lounge of the airport in Amsterdam. And finally after another 8 hour flight plus 3 hours of driving, we were back to where we began. We talked a lot about our thoughts during the trip on the way home and I believe everyone is growing, through the trip, through the reflection, and through seeing Newmark again. 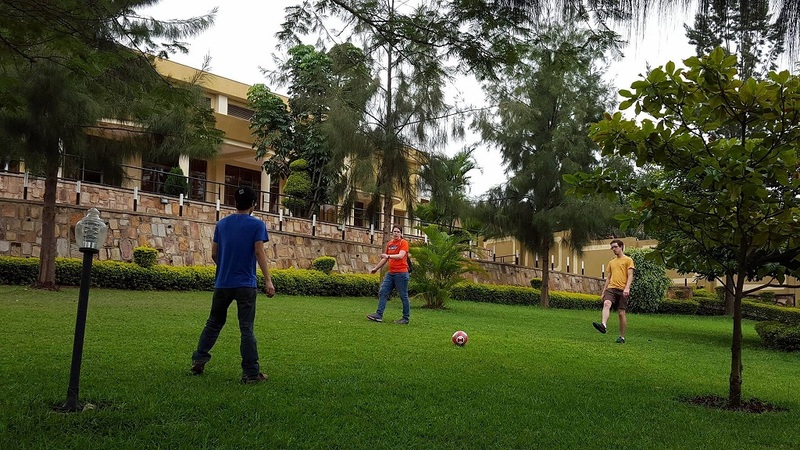 On our last day in Rwanda, everyone on the team decided to spend the last day relaxing before we had to travel back to campus. In the morning, we enjoyed our last breakfast buffet at the hotel by the pool and ate toast, eggs, potatoes, and various tropical fruits. After breakfast, several students went back to the craft market to purchase a few more souvenirs for family and friends back home. Those of us that stayed behind spent the remaining time outside soaking in the last of the 80-degree weather. 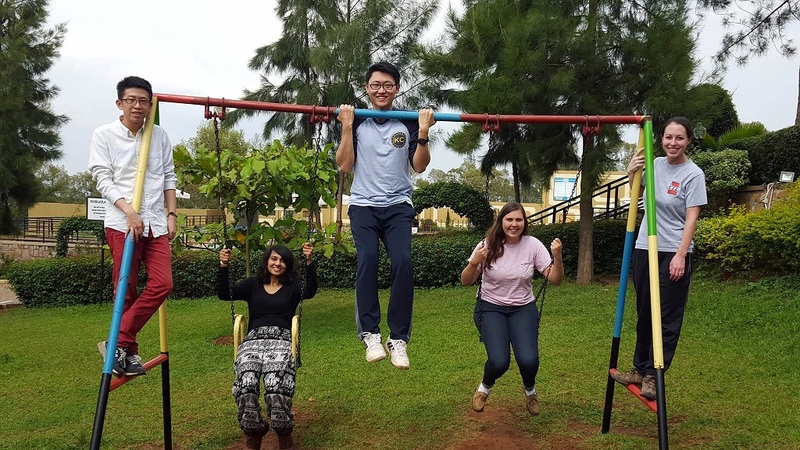 The teams decided to take pictures on the playground before we finished packing up to leave. Each team posed with their favorite playground equipment. After we left the hotel, we spent the remaining part of the day at the airport until we could leave for campus. 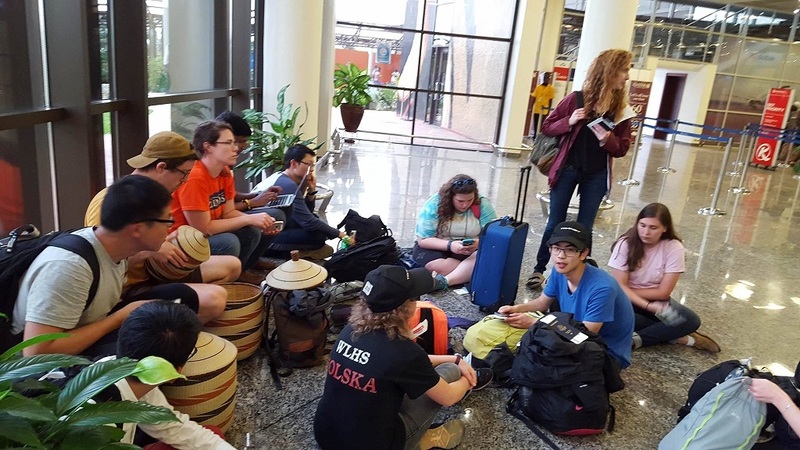 We were able to bring all of the water samples and field equipment back with us, but we had to show the airport security the letters of permission. The security officers even used a german shepherd security dog to sniff our bags to make sure they were safe to bring on the plane. After we made it through security, we sat in the waiting area before we were able to board the plane and depart for Nairobi, Kenya. 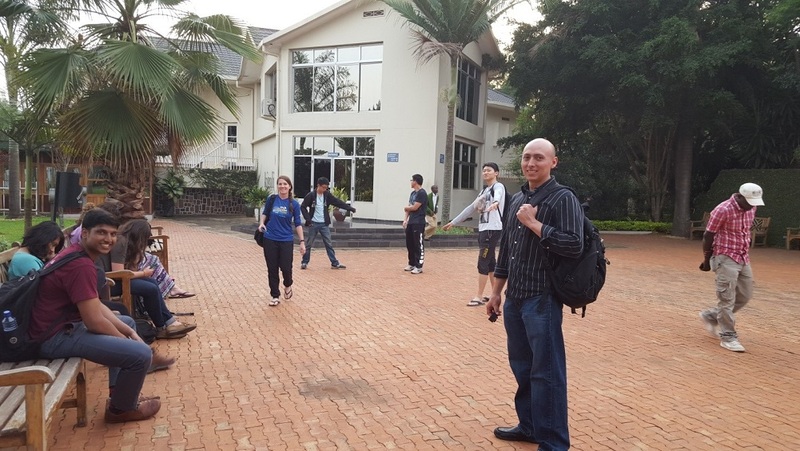 While Professor Marinas, Peter Luswata, and a few of the TAs attended meetings with the U.S. Embassy and UNHCR, the undergraduate students spent the day learning more about Rwandan culture and history. We were all awoken by thunderstorms and heavy rain, which we thought would significantly alter our plans to explore the city. 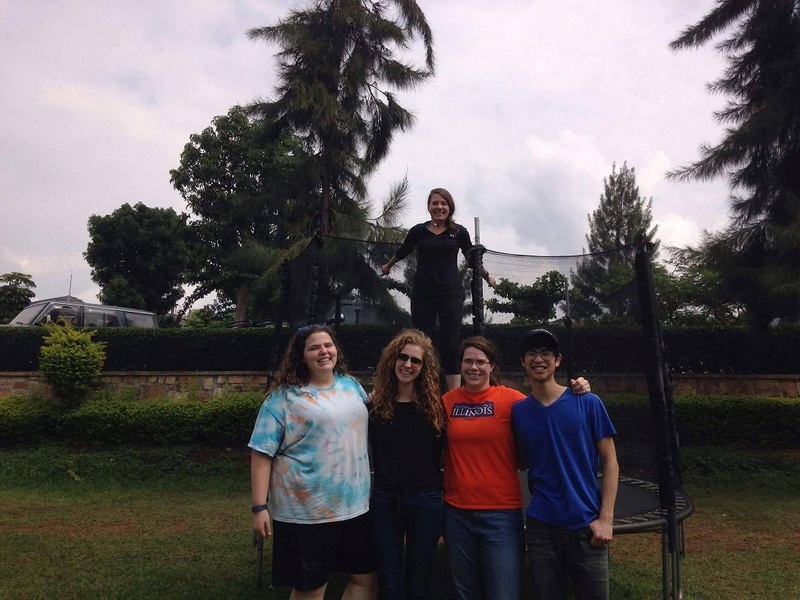 The weather soon cleared up and we all headed to the bank to exchange our U.S. dollars for Rwandan francs. We then went to the market where we practiced our bargaining skills. The markets had an overwhelming amount of goods in very tiny, poorly-lit shops. Everyone was able to purchase a few souvenirs and gifts, including handcrafted bowls, paintings, jewelry, bags, and baskets. 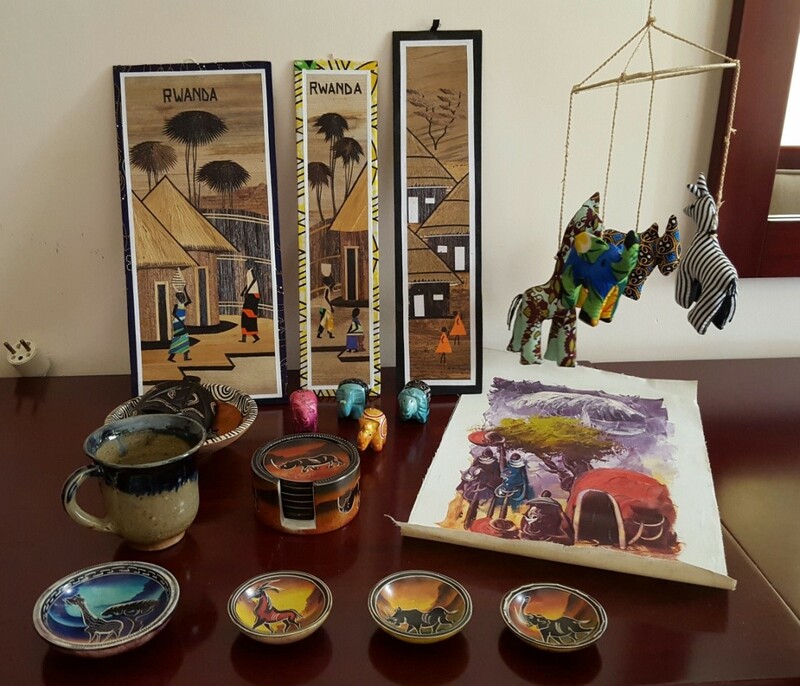 These items will serve as a reminder of the amazing experiences we had in Rwanda during this past week. By the end we were all masters at haggling prices. 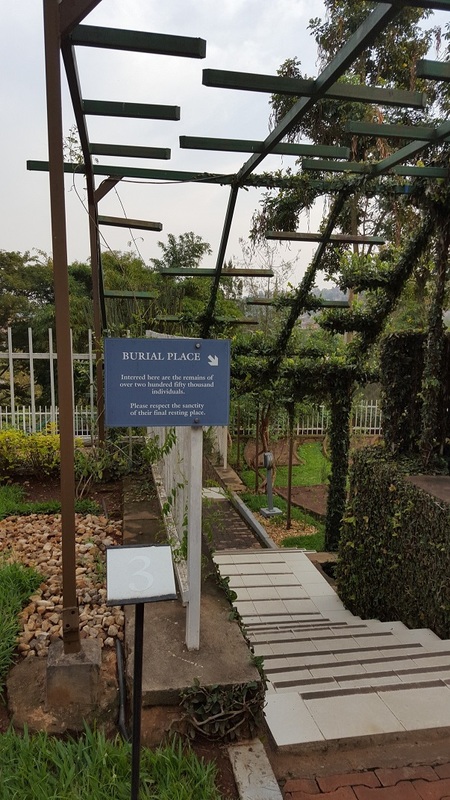 After lunch, we visited the Kigali Memorial Center, which honored all the lives lost during the genocide that occurred in Rwanda in 1994. 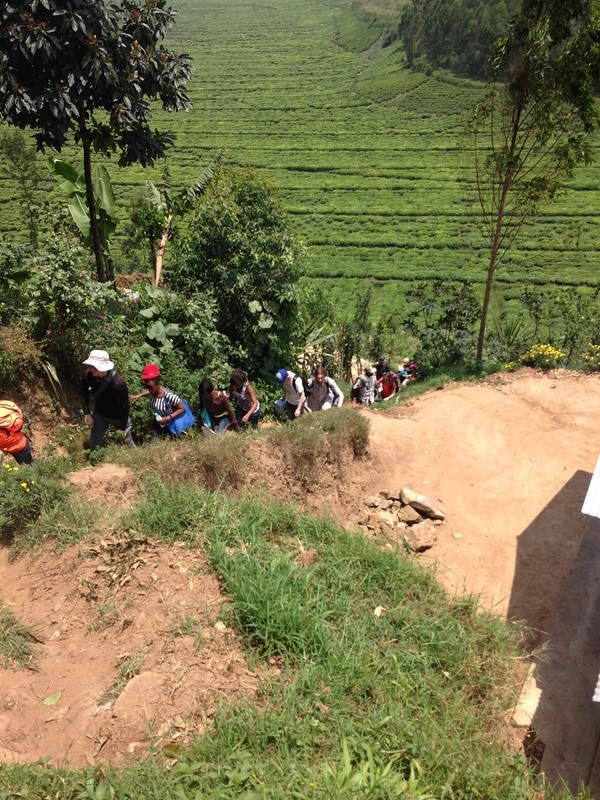 Over a million Tutsi lives were lost during the genocide and approximately 250,000 were buried at the site we visited. Inside the museum, we were able to learn more about the history and watched interviews of the survivors. A few photographs of the victims and their belongings were also on display. The burial place was located just outside the museum. It included a memorial garden and a “Wall of Names,” of the people who have died. In the evening, we had a working dinner with the whole team during which Professor Marinas updated us on the meetings with the U.S. Embassy and UNHCR. During the meetings, future opportunities to work in Rwanda were discussed. Professor Marinas also informed us of the potential projects that we can work on during the rest of the semester. Such include projects involving the lake, the school, and treatment plant. 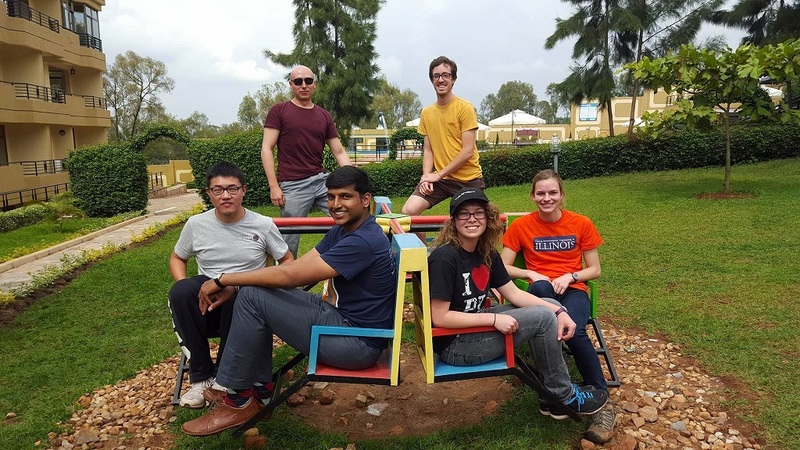 The whole team thanked Peter, Patience, Joanna, Jocelyn, Anastase and our drivers (Moses, Moses, Ema, and Ali) for guiding us through Rwanda during this past week and for making the CEE 449 trip to Rwanda possible. We appreciate them for taking the time to ensure our safety, to be our translators, and to make sure every day ran as smoothly as possible. The whole team is very grateful for having the opportunity to attend this trip, which has been a very eye-opening experience. Thank you to everyone who has made this trip possible! After three hard days of field work, we departed Kigali at 4:30 am to embark on a day-long safari trip in Akagera National Park. While all of us were very exhausted from the early departure, we were extremely excited for the opportunity to see the local wildlife and landscape. 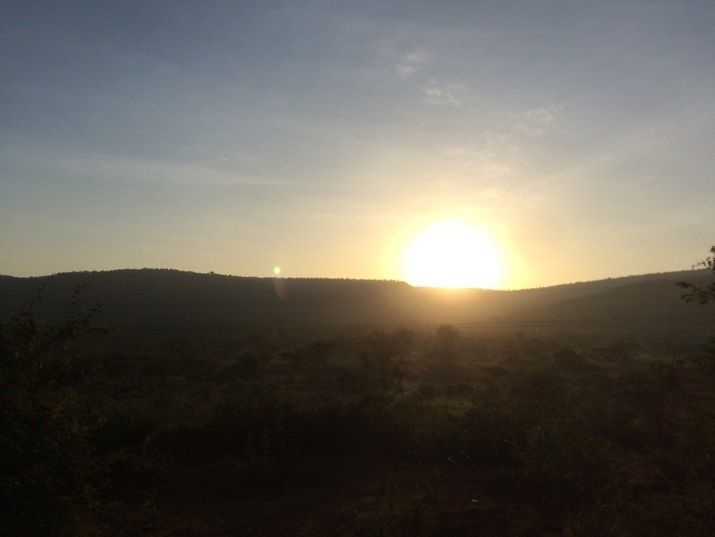 Our drivers did a great job driving through the early-morning traffic en route to the park, which we arrived as the sun rose above the surrounding hills. Following a light breakfast, we embarked on our adventure. 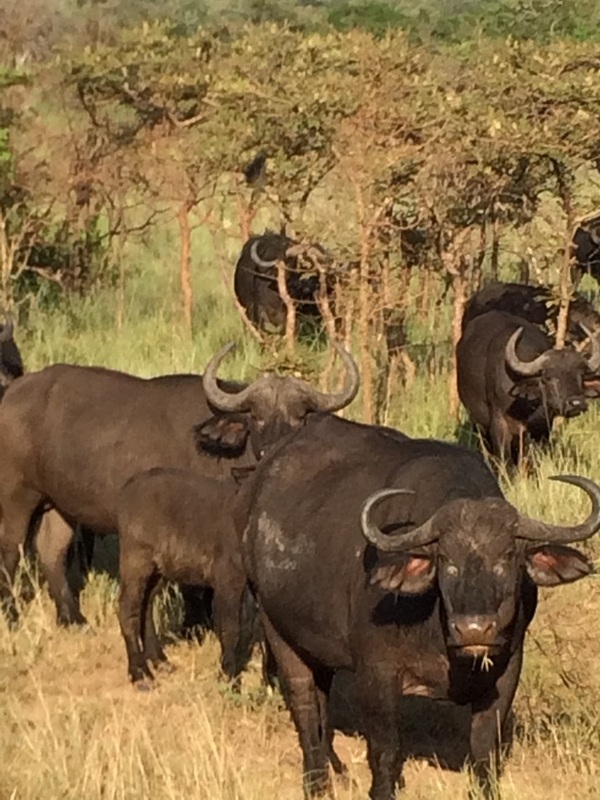 Some of the first animals spotted included waterbucks, water buffalo, bushbucks, impalas, and warthogs. 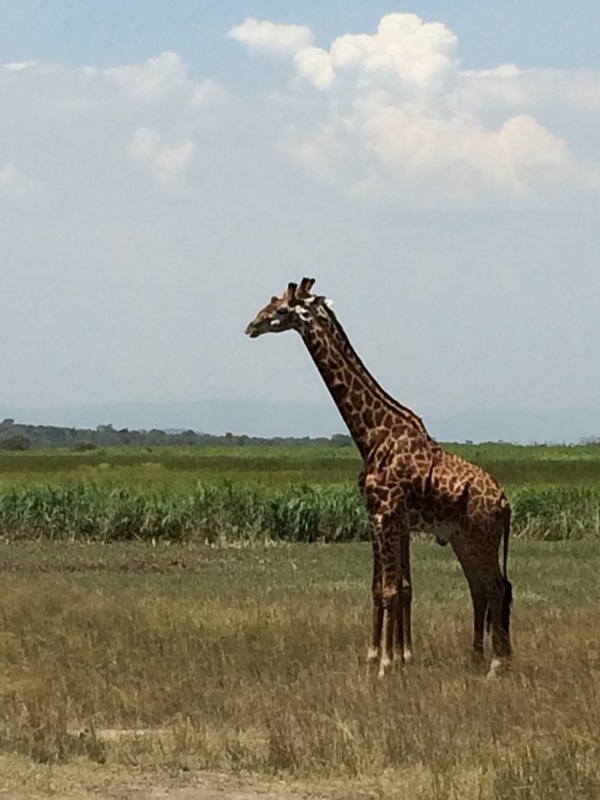 Then we started seeing more iconic African animals. 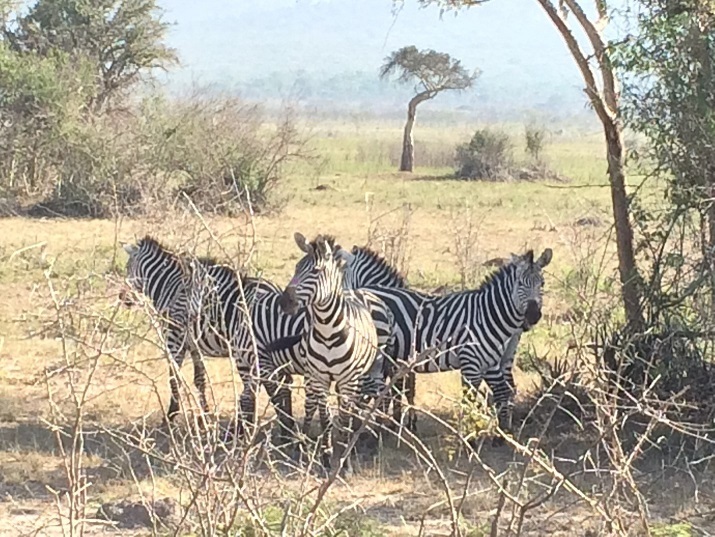 First we spotted the first of many zebras, along with a few giraffes. We proceeded to make a quick pit stop, where Peter Luswata pointed out a makeshift hand pump that visitors could use to wash their hands. 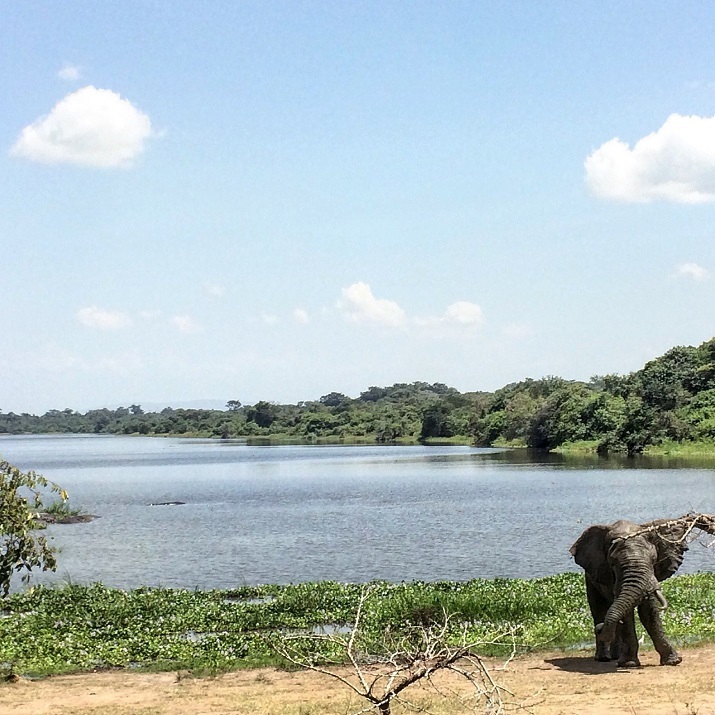 Our utensil-less lunch presided next to three hippopotamuses in the lake, which enthralled some and scared others. However, sweet apple juice was served, which delighted many in our group. 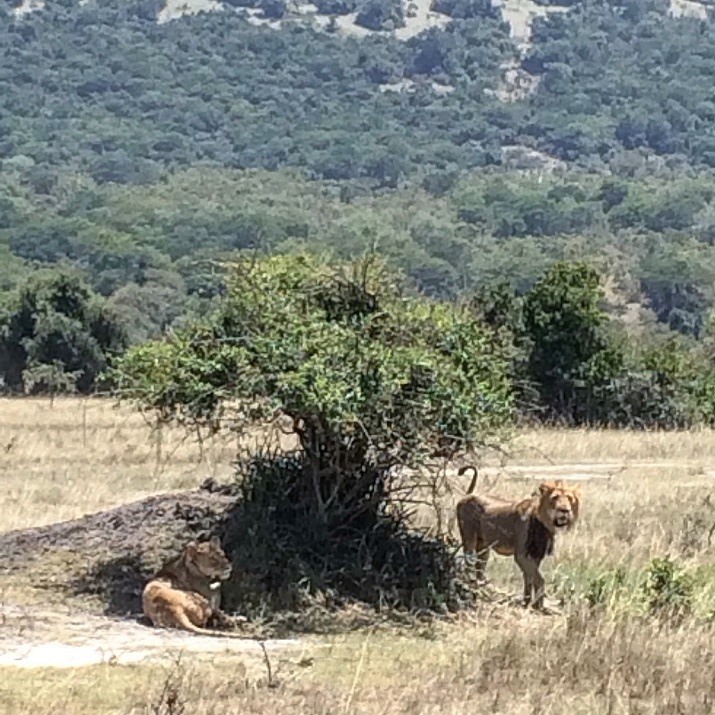 Following our meal, we encountered perhaps the most iconic African mammal of all, the lion. A female lion lounged in the shade of a tree, while the male lion, startled by our sudden presence, rose to keep tabs on our location. As our vehicles steadily approached, the male, perhaps guarding its territory let out a shallow growl, which indicated to us that it was time to go. However, as one of the vehicles turned to leave, one of its passengers spotted a third, older lion, lounging in a nearby shrub. Following the lion, with the initial thrill of seeing new animals gone, the energy level was kept up with plenty of fun games and conversations, including one particular Teaching Assistant declaring himself to be the second coming of Nigel Thornberry. Overall, everyone was thrilled to see so many animals, and agreed that it was a once-in-a-lifetime experience. We could not be more thankful for our drivers, who knew the right locations to see as many animals as possible, as well as our esteemed Professor Marinas, who worked hard to organize the event for us. 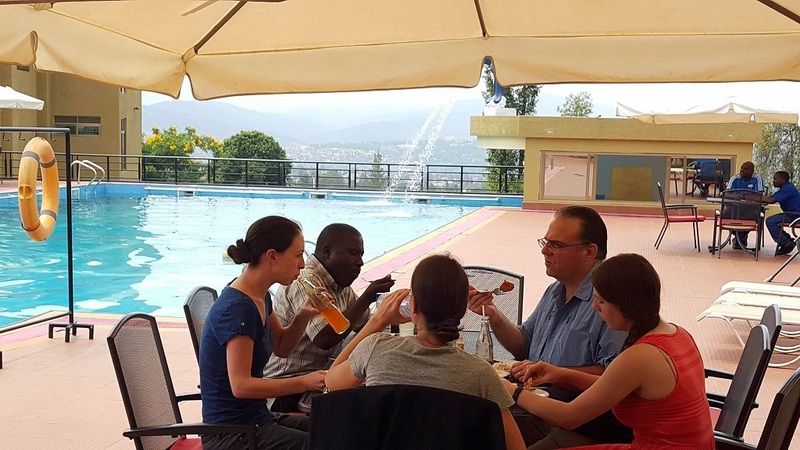 The day ended with a dinner back at our hotel in Kigali, and some microbiology work with our excellent advisor Bernardo. Overall, it was a fantastic day and one full of traditional African culture. Today was a productive day back in Champaign-Urbana as teams completed their introductory presentations about the current state of the area. The individual groups’ presentations were placed together and the groups practiced their sections with the team leaders. The leaders then provided tips and potential improvements. These changes were made to completely finalize the product to make everything sleek, informative and clear. The presentations should be something to look forward to as everyone learns more about the area! 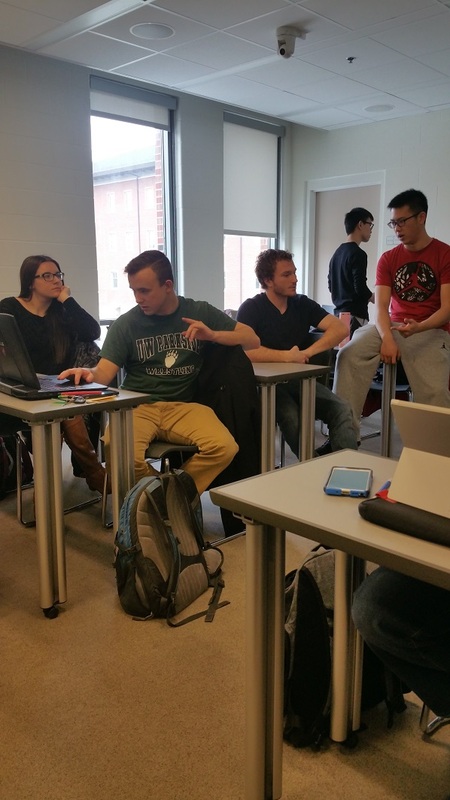 The home team spent the class period collaborating to prepare the introductory presentations. Each subject within the introduction has one group member from each group. Multiple groups were able to complete their presentations and move on to continue researching and writing their technical reports. The two group leaders that are also part of the home team, Nick and Luke, suggested a mock presentation for the next class period. Most of the introductory presentation will be finished during this time. Overall, it was a productive, but uneventful day for the home team. We were eager to begin the day, on the field, with visits to a nearby local surface water source and the Yaramba tanker stand planned out. 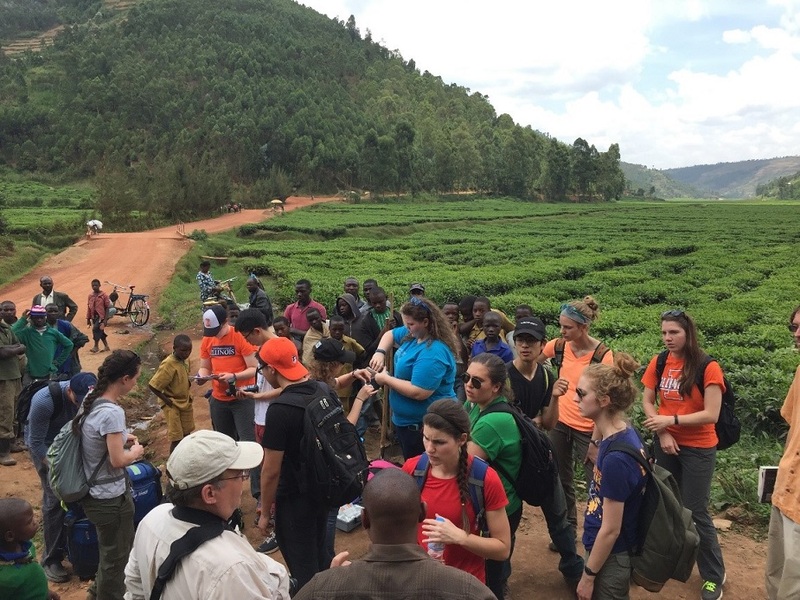 After the experience of the first two days, we were much more familiar with the expectations at each site – between performing water quality tests with a variety of probes, and conducting on-site interviews with locals living around each location. First up on our itinerary was a stop at Lake Urugezi. Before diving into our water quality testing and interviews, we had the opportunity to visit the watch tower at the top of the mountain that oversaw the entire lake. 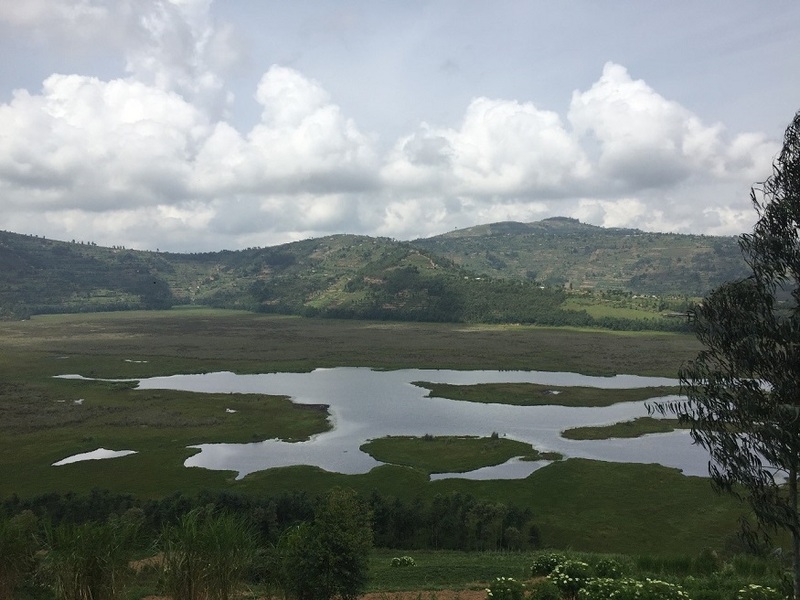 It was truly amazing to witness the beautiful landscape that offered a good snapshot, of much of the rest of Rwanda. 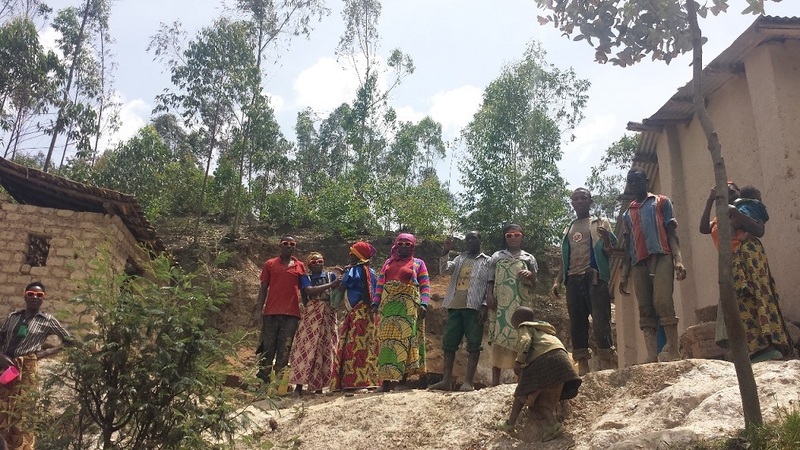 While most of the team proceeded to take samples at the lake, a small group broke-off to conduct an interview with a woman who was taking water directly from the source. After finding out that she was using the water for construction of a church, the group soon traveled to the church, to collect more water samples for further testing. After concluding our activities at the lake, we proceeded to return to the Yaramba tanker stand. This was a site that we visited the first day, however, chose to revisit upon some inconsistency between the information we got from Alphonse, the guard at the tank stand, and the results our analysis suggested. While there, we decided to interview a couple more households to get a better idea on their water and sanitation experiences to inform our design decisions later on in the project. 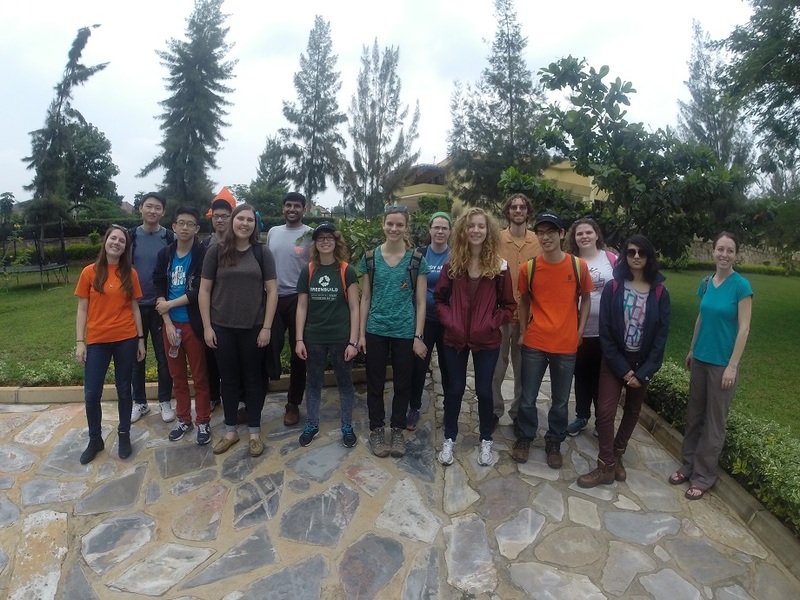 Soon after, we were headed back to the hotel to pack-up our bags and depart to Kigali to complete our water testing later in the night. Despite having a packed itinerary for the past couple of days, we remained excited and enthusiastic for the remainder of the trip. Today was our second day of field work in Byumba. After breakfast, we headed out to the community surrounding the Gihembe refugee camp. Our first stop was the Iakib Cooperative right near the entrance of the camp. The Iakib cooperative collects maize and dairy from surrounding community farmers and processes it for selling at markets. It was great to talk with Valencio, the manager of the cooperative, about the water and energy problems the co-op faces. He stressed that the co-op faces a quantity problem not a quality problem. Valencio was very willing to answer our questions and was interested in hearing about how he could improve the co-op’s operations. 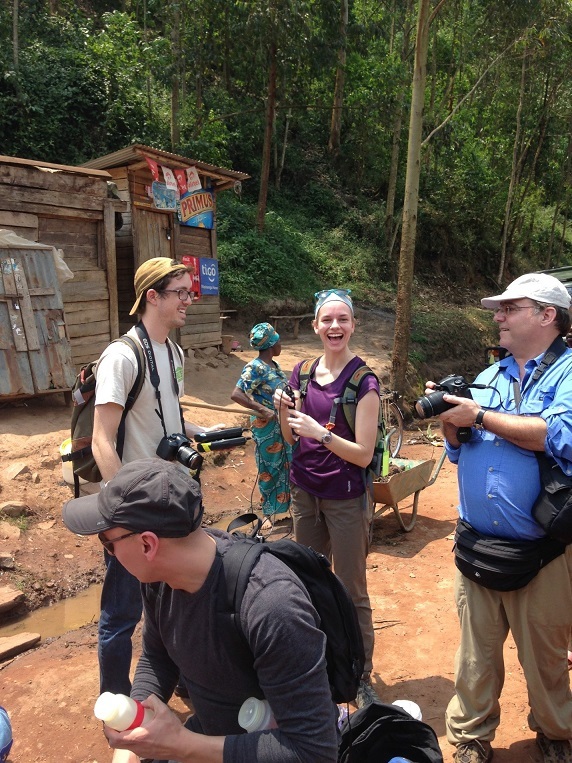 We continued down the road to visit more residences to talk to more community members and collect water samples. Our first home was Jenny’s. She got her water piped from the government. She boiled the water for drinking and used WaterGuard for other water. On her property, she grew crops for the 7 family members, including 2 orphans, living in the house and had 8 chickens for eggs. Jenny also expressed concerns about the lack of water her family has. Before leaving the community near the camp, we got to interact with a few more community members. We talked to Clarice, a 6th grader, during her lunch break from school. Other students talked to women participating in a local market. We had some down time to interact with students back from school. After lunch, we headed to the water treatment plant that provides the 20,000 community members and refugee camp with water. The plant is designed to treat the water by aeration, filtration, and disinfection, but only the chlorine disinfection step was in operation at the time of our visit. The plant has to ration if the demand is greater than the supply, which is common during the dry seasons. 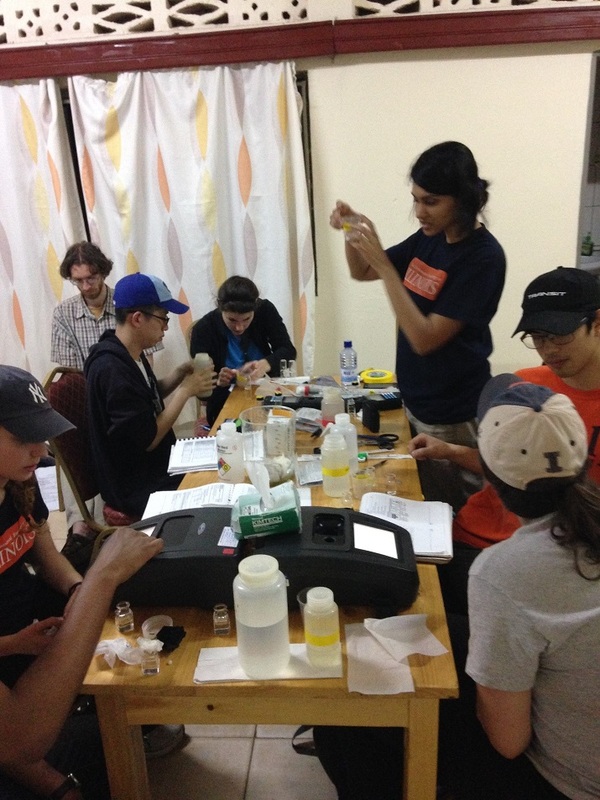 We ended our day doing lab work for the samples from the co-op and raw and treated water from the treatment plant. This morning was my roommate’s 22nd birthday, so of course we woke up to Taylor Swift’s “22”! After a delicious buffet breakfast at our hotel, we waited for our instructors to finalize the day’s plans while several of us played soccer together. Below you can see Bernardo, our MVP, playing with all of us. We spent some time rehearsing our demonstrations for the school children we would later visit, and headed out to begin our first field day. The drive to the Byumba community took about 20 minutes. Along the way, we saw acres and acres of crops of tea. All the children we passed excitedly waved and us stranger. Many women were working on the side of the roads to clean the “gutters.” I am very surprised at the infrastructure of the communities, especially the road conditions. 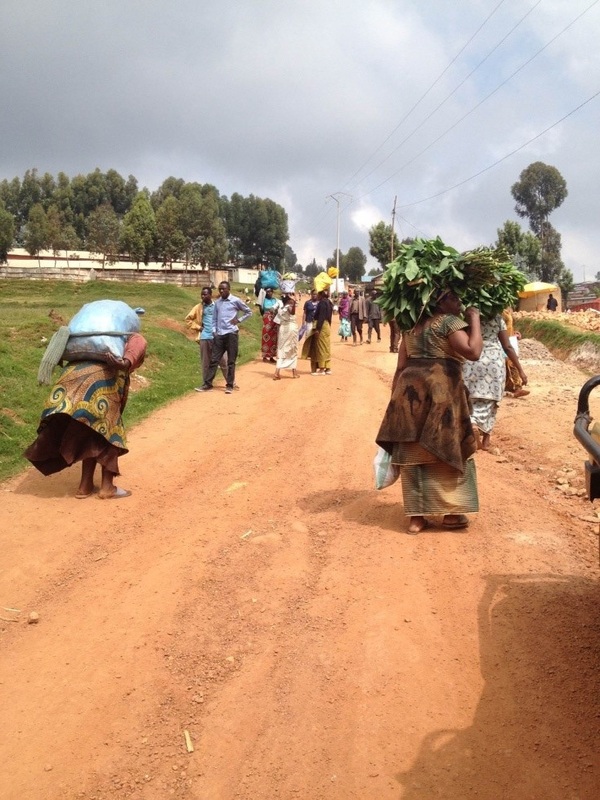 The Rwandans are also especially skilled at carrying things on their heads. I am entirely convinced if I even attempted to do it as they do, I would fail miserably. We arrived at our first water source to collect samples. When we pulled up, a 20,000L UNHCR water truck was on site collecting water for the Gihembe Refugee Camp. Three trucks are run daily to provide water to the refugee camp. We were told the water came from the rocks in the mountains. Hannah, the birthday girl, is testing the water for fluoride. As we began testing the water samples with our probes, some of us stared discussions with women that were collecting water. Personally, I spoke with (working with one of our awesome translators) a beautiful and sharing women named Beatrice. She typically collects her water from another source, but stops here when she is passing by. It typically takes her one hour each way to collect her water in a 20L jug. She was aware of problems associated with contaminated water, and used a disinfectant called Curo to treat it. But, the Curo gives the water a poor taste. She said she is excitedly waiting for regular access to safe water. While talking to Beatrice, a women named Clementine introduced herself to us. She was incredibly welcoming and kind, allowing many of us to climb up to her home. She showed me her sweet potato field. Her husband had recently been to the hospital for malaria. She does not have soap because it is too expensive, and she had not been educated about water treatment. After leaving Clementine’s, we ate lunch back at the hotel and left to stop by a government office, Umurenge Wa Kageyo. While Peter Luswata and others discussed with officials, Daniel and I gave some kids in the street a soccer ball, and got to play with them. They were incredibly happy and friendly! 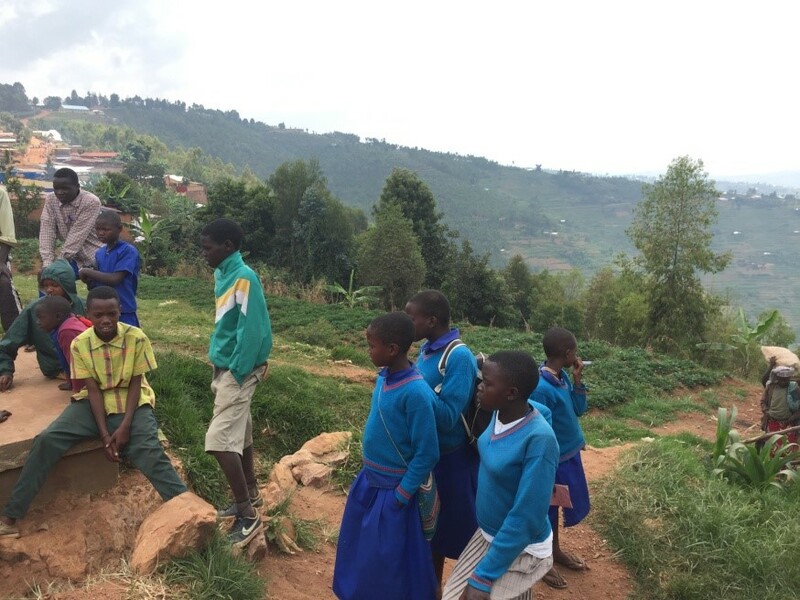 Next, we headed to the school – Muhondo. There, they collected water via 50,000L containers connected to the roofs. Just like all the other children we have met, the school children were so friendly and continuously waved to us. Some of our students gave a demonstration using tonic water, bottled water, and a black light to explain water disinfection. When the tonic water is treated with WaterGuard, it turns the same color at the bottled water when the black light is shined on it. The students in the class responded to the demonstration with intelligent questions and a better understanding of unsafe water. Allie used a Polaroid camera, and the children were incredibly excited to see their group picture. Our last stop of the day was a health clinic, where a doctor (Josephine) spent a lot of time teaching us about their work and the health concerns of the community. She told us 30-40 people visit the clinic daily, mostly seeking treatment for pneumonia, diarrhea, and malaria. 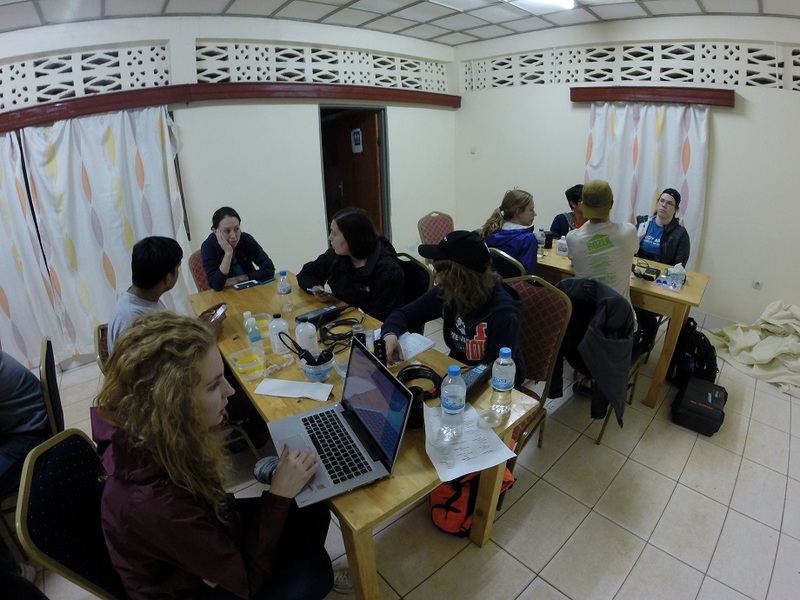 Upon our return to our hotel for the evening, our lab work began. Students used the digital titraters to test for total hardness, calcium hardness, and alkalinity. Others tested for chlorine, bromide, and other chemicals in the collected samples. At dinner, the group celebrated Hannah’s birthday with a flaming mound of cupcakes. The “candles” reminded me of large sparklers from the 4th of July. 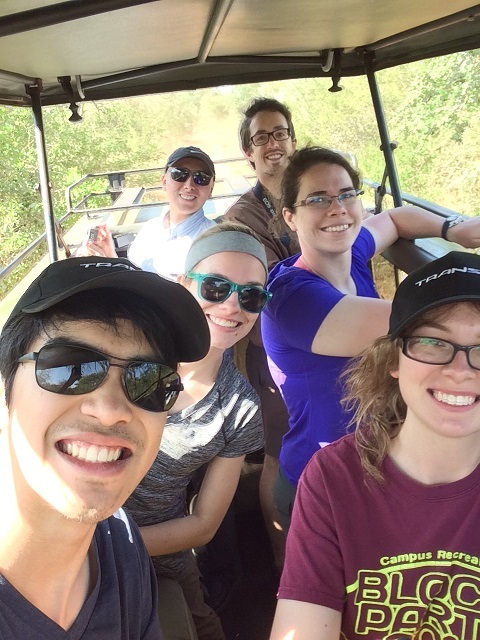 After finishing in the lab, we headed to rest up for another exciting day in the field. 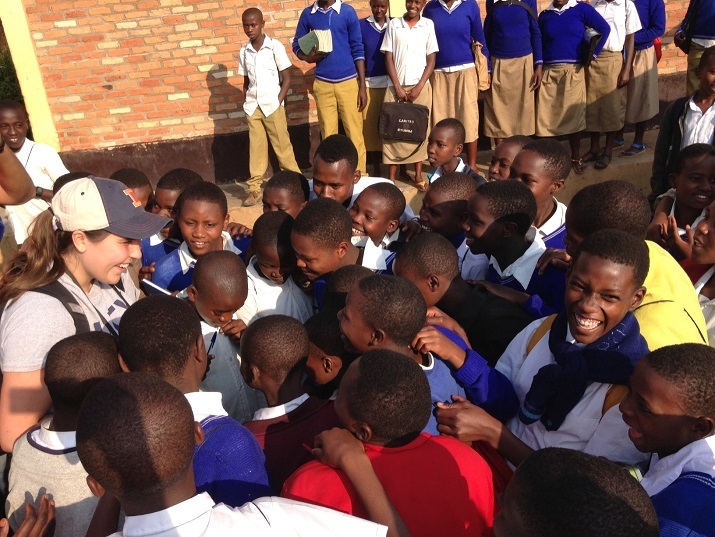 Today was our first full day in Rwanda. 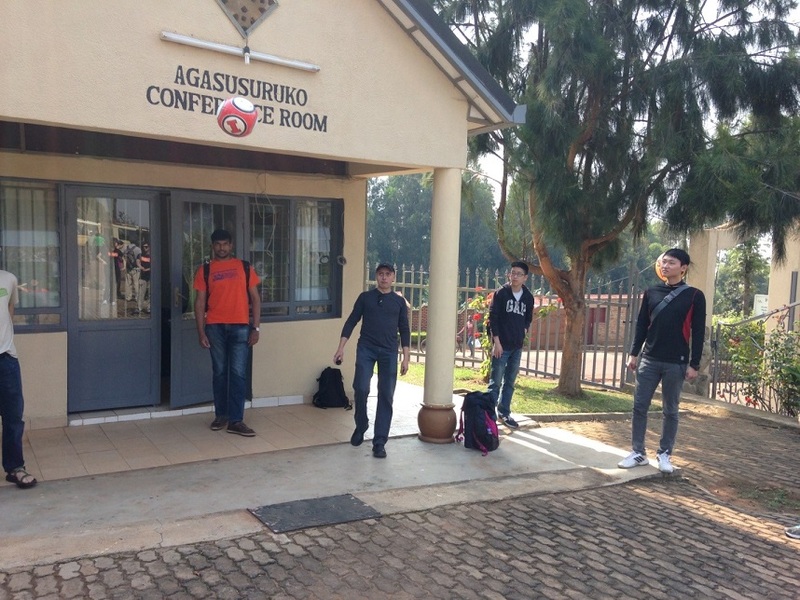 We woke up at our hotel in Kigali and went to breakfast to meet Professor Marinas, Peter Luswata, and Engineer Anastase. Peter is the Country Director of Uganda Rural Community Support Foundation and we will be working with him throughout our stay in Rwanda. 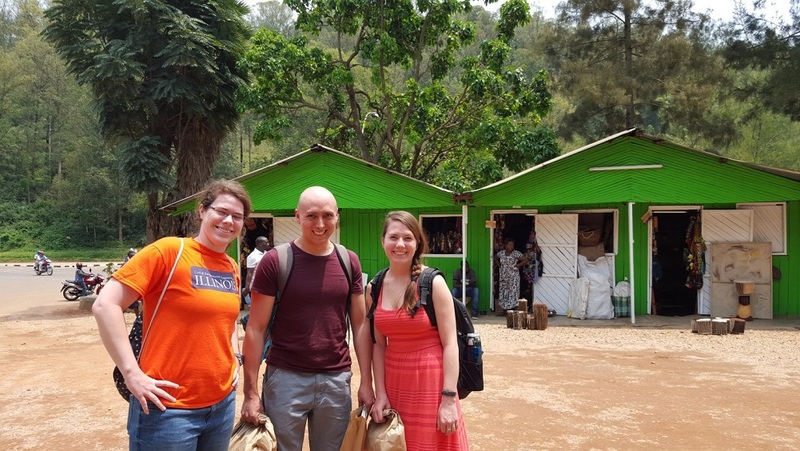 Engineer Anastase will be our main contact to work with the Gicumbi host community and Gihembe refugee community. The breakfast included many good foods, the highlight of which was passion-fruit, my new favorite food. After breakfast we continued to lunch with Peter and some of the members of his organization. We played Pictionary while we waited for our lunch and got to ask questions to our collaborators about Uganda and Rwanda. One thing I noticed at lunch was that the sun was so much hotter than I had been expecting. A few minutes without a hat and our hair was on fire. In the sun it feels like a hot summer day but by night we all wear our jackets. We left after lunch to head to the community where we will be staying at to do our field work and water samples collection. The two hour ride to Gicumbi District was beautiful as it consisted of driving through various small communities. The number of people riding bikes and walking on the side of the road hugely outnumbered the cars. Many of the small children would stop and wave at us as we passed while they biked or carried things down the road. 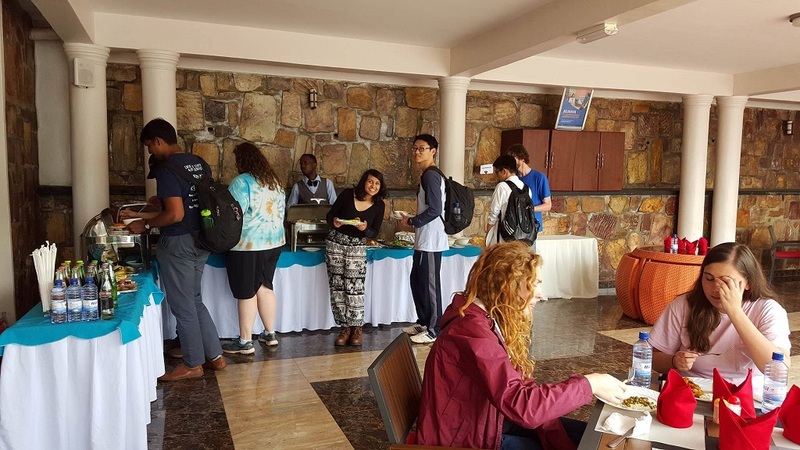 Once we finally arrived at our next hotel, Hotel Urumuli, we ate a dinner of some traditional Rwandan foods at the hotel restaurant. Our final task for the day was to calibrate the lab equipment for the site assessment. Doing this will save us time tomorrow so we can head out to begin meeting our host community early in the morning.